I just tried out these great copper socks from Copper Clicks. 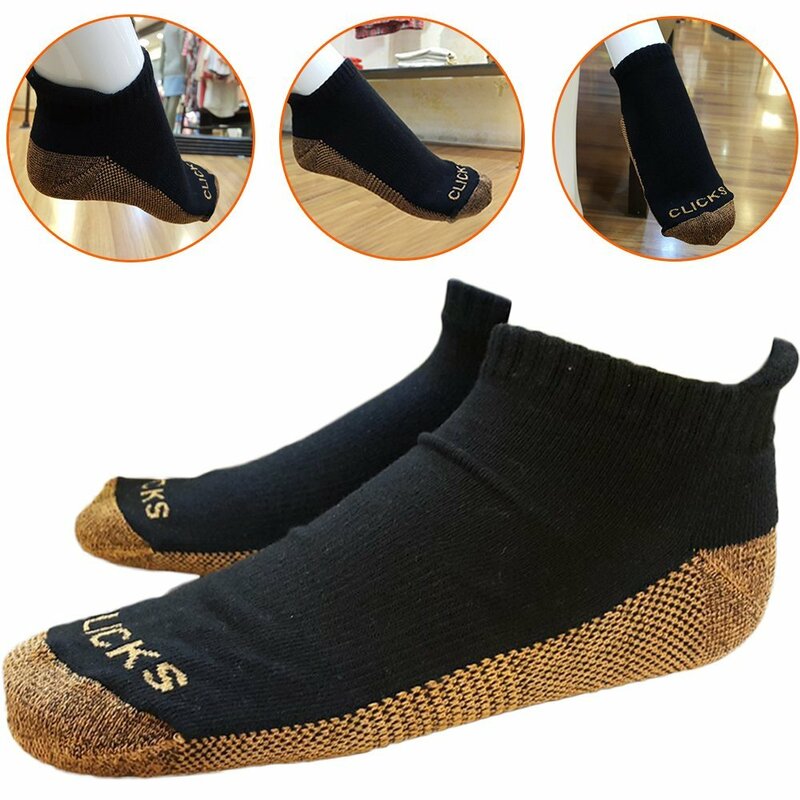 These are great anklet socks that have copper woven into the sole of them. These have great health benefits. Copper in a new trend and I have been wanting to try it out for awhile now. I am pre-diabetic and I also have a lot of joint and knee/ankle pain from injuries. I usually wear ankle socks so I liked the style. They were comfortable to wear, not to tight. They had a great little pad on the back to protect the back of the ankle. The copper really seemed to help with my foot and ankle pain. I didn’t really notice any difference on my knees but my feet tend to hurt less when I wear these. I also really noticed that they help a lot with odor control even when I wear them and I am sweating a lot like when I’m working out. It’s a great sock. COMFORTABLY THICK SOCKS that you’ll surely love this winter! RESTORES SKIN CELLS TO HEALTH and keep your foot infections at bay. This is also PERFECT FOR WINTER. NO MORE EMBARRASSING SWAMP FOOT! Copper kills the microbes that cause foot odor. You can now take off your shoes with confidence anytime, anywhere. The fabric is COMFORTABLE, WICKABLE AND BREATHABLE so your feet feel fresh at all times. Wear it WITHOUT CRAMPING YOUR STYLE! Winter Socks SIZE: L/XL – 7 to 9 inches. These socks are machine-washable, which makes them EASY TO CLEAN!